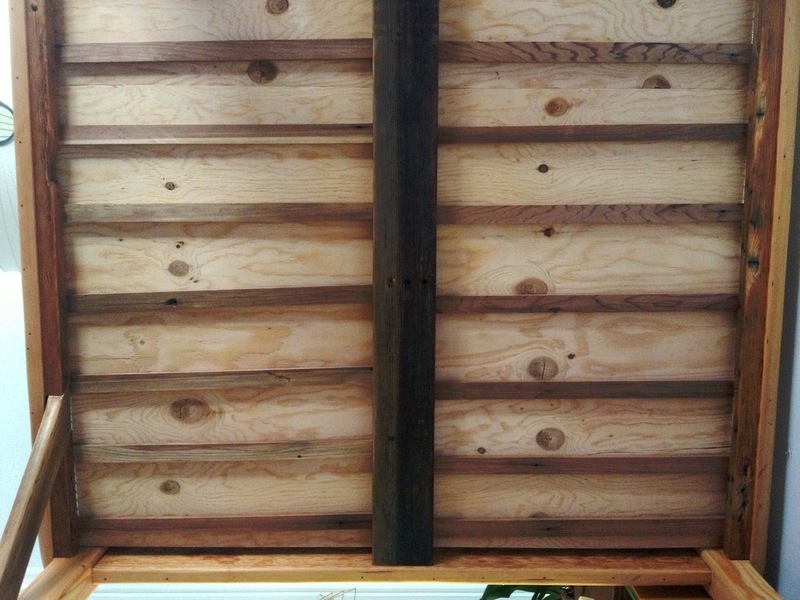 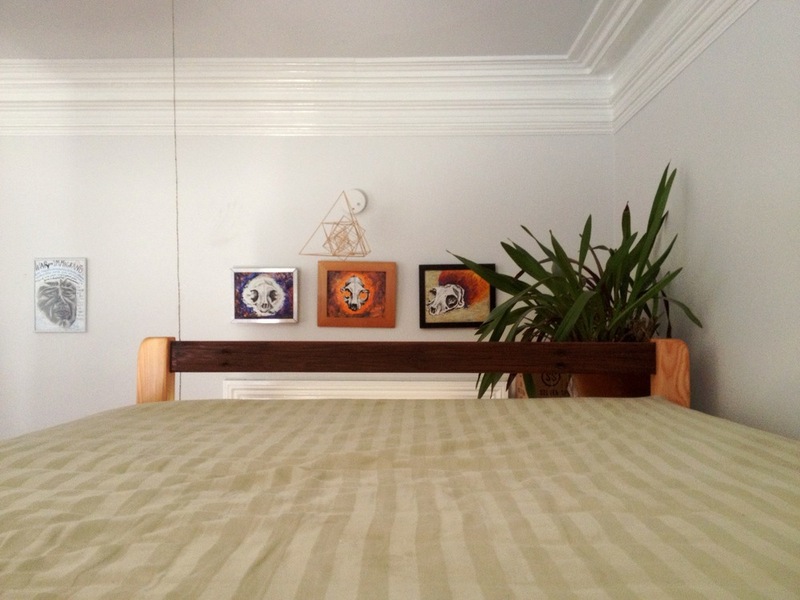 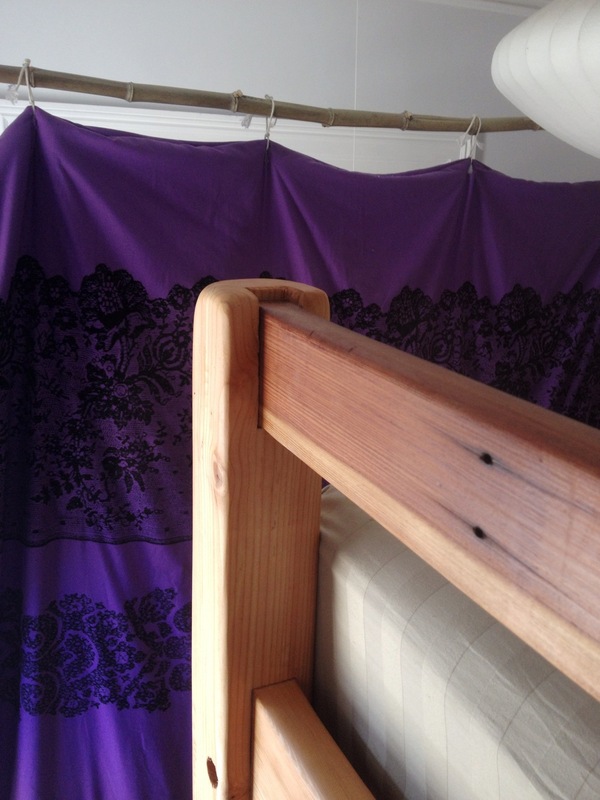 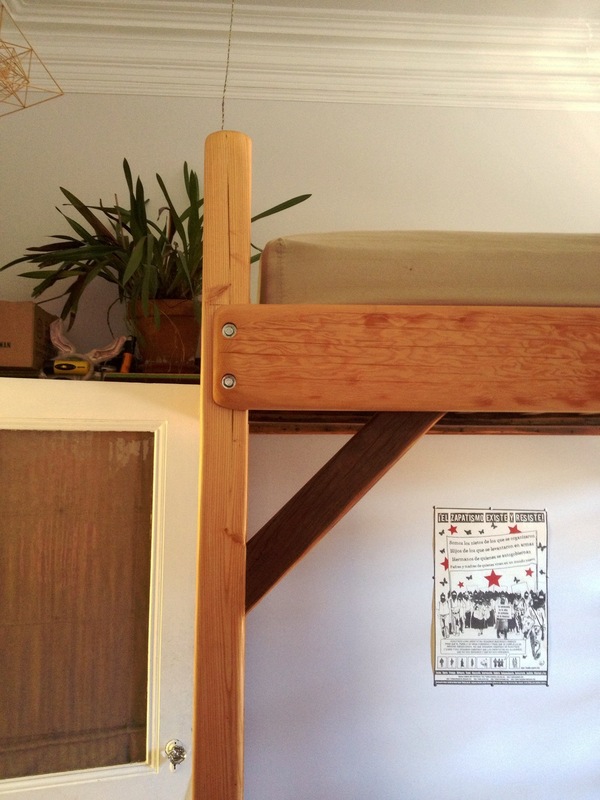 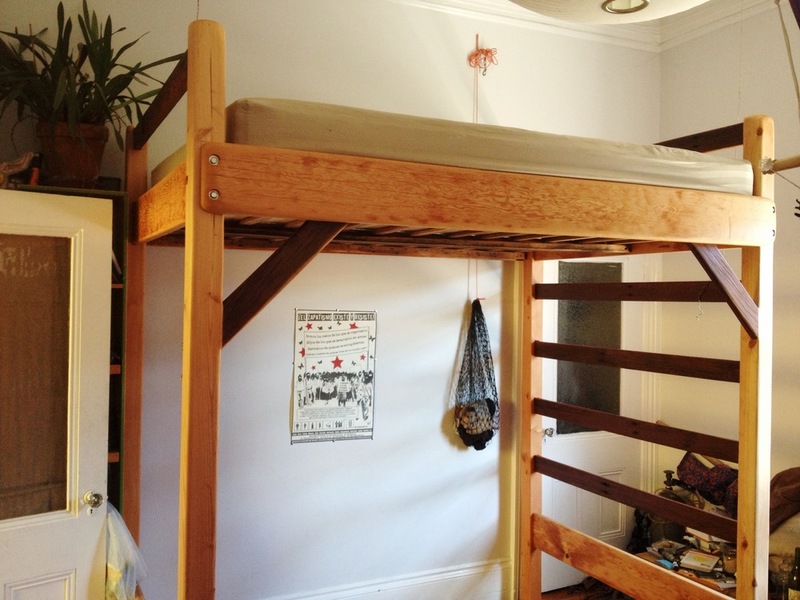 We custom built this lofted 4-post bed for a friend living in a Mission St. apartment. 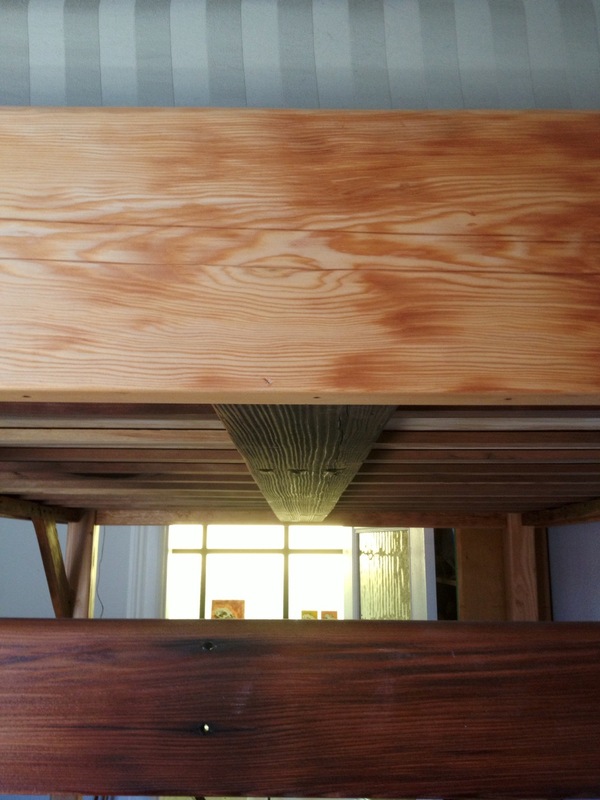 The tall ceilings of the bedroom allowed us to comfortably achieve full head-height under the bed, significantly increasing the living space. 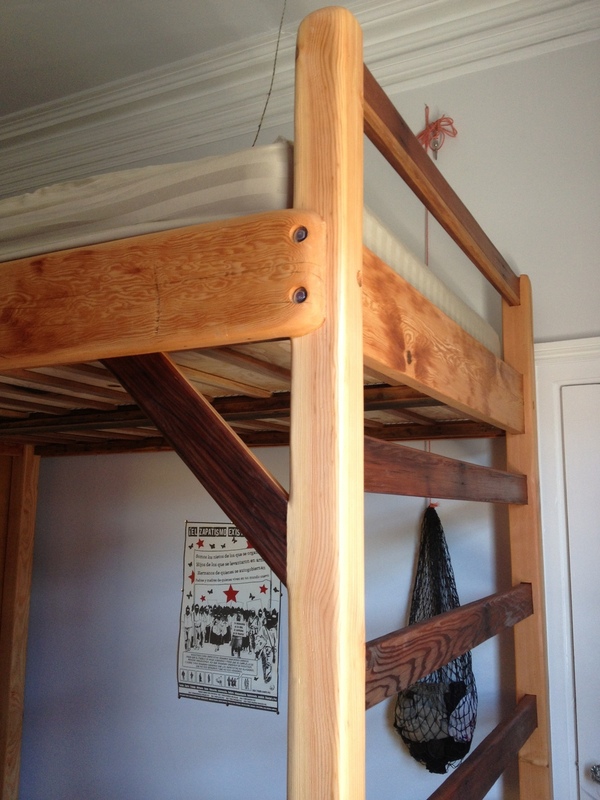 Except for the posts, the lumber is all reclaimed wood that we resurfaced and shaped/sanded for a more organic feel. 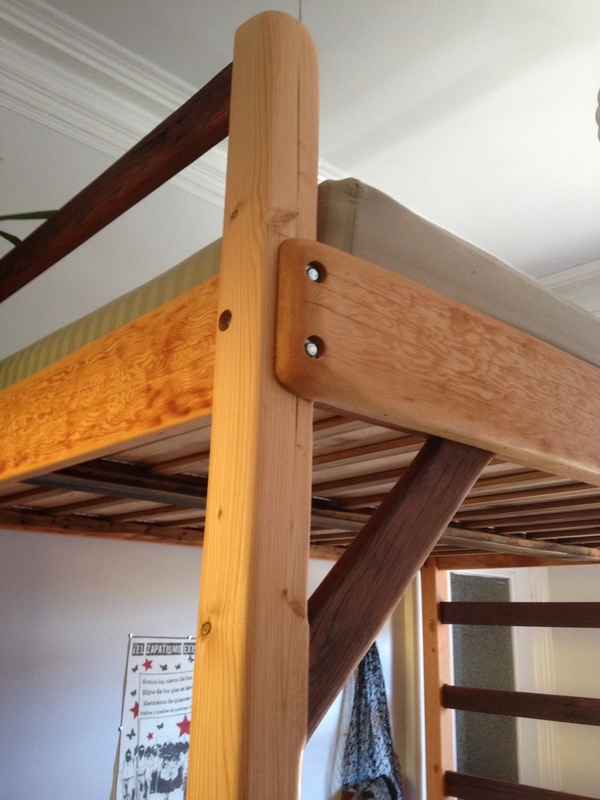 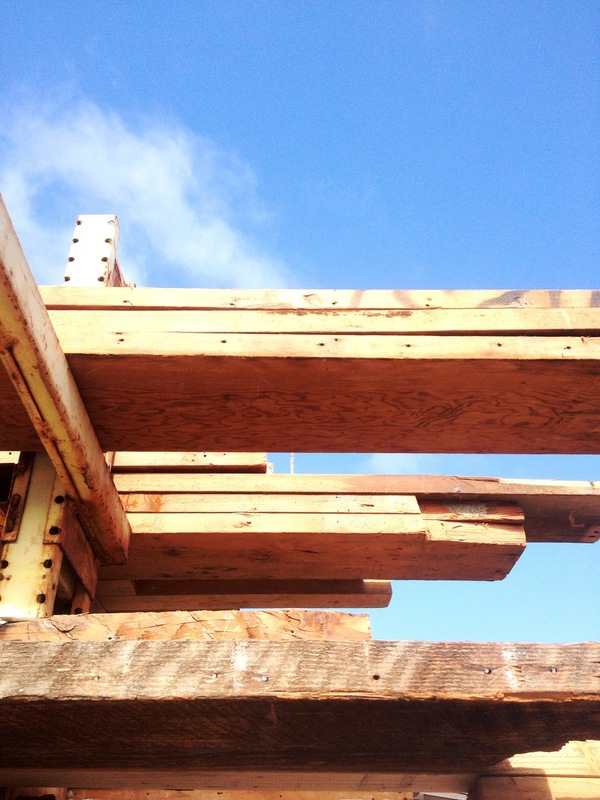 Beautiful, tight grain Douglas fir rails are offset by the striking shades of redwood ladder rungs. 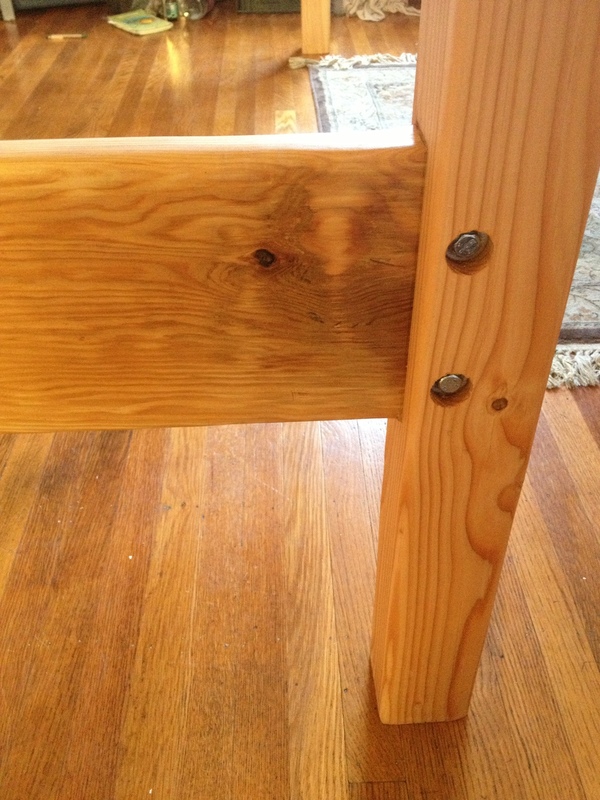 A polyurethane finish protects the wood and makes the grain and color pop. 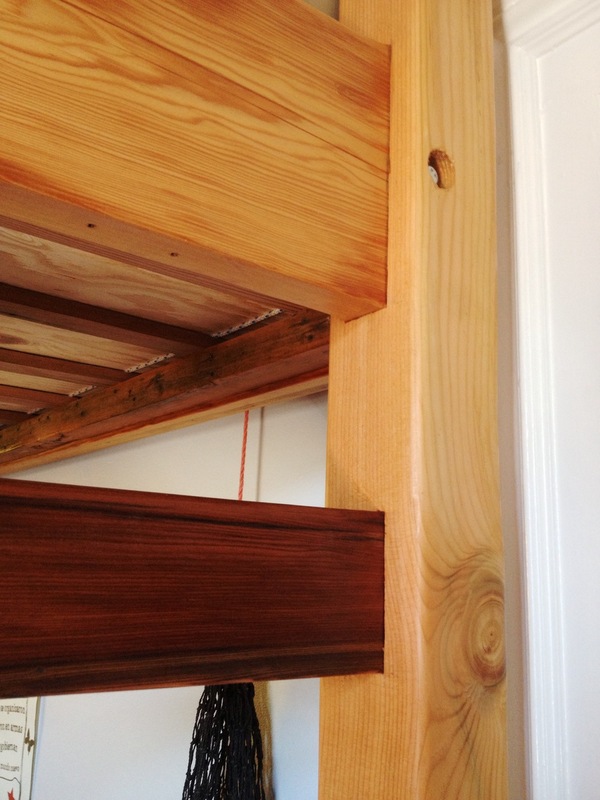 The entire bed was designed to be easily disassembled, with mortise and tenon joints that require few fasteners and no glue.